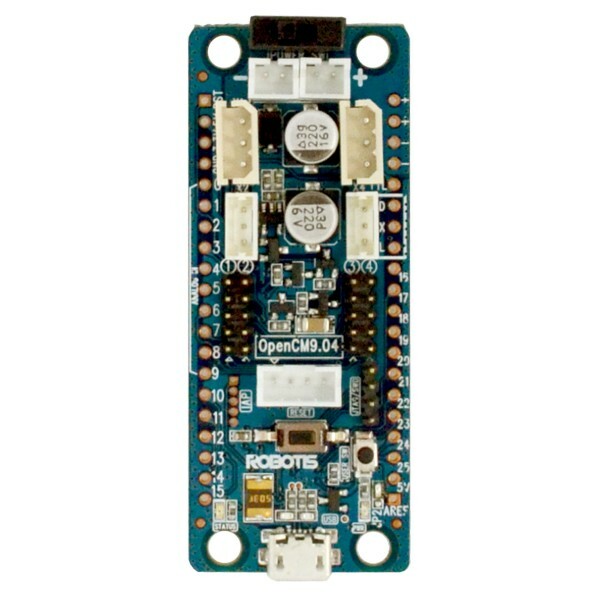 The Robotis OpenCM 9.04-B Microcontroller is an open source robot controller featuring Dynamixel smart serial servo ports. The OpenCM 9.04-B Microcontroller offers four 3 pin TTL serial ports for operating Dynamixel AX, MX and XL series smart servos. Plenty of processing power is provided by an STM32F103CD ARM Cortex M3 CPU with 128 KB of flash and 20 KB of SRAM. This board also has 26 GPIOs with 10 analog inputs, USB, CAN, SPI, I2C and serial ports. There is also a JTAG/SWD port for hardware debugging. 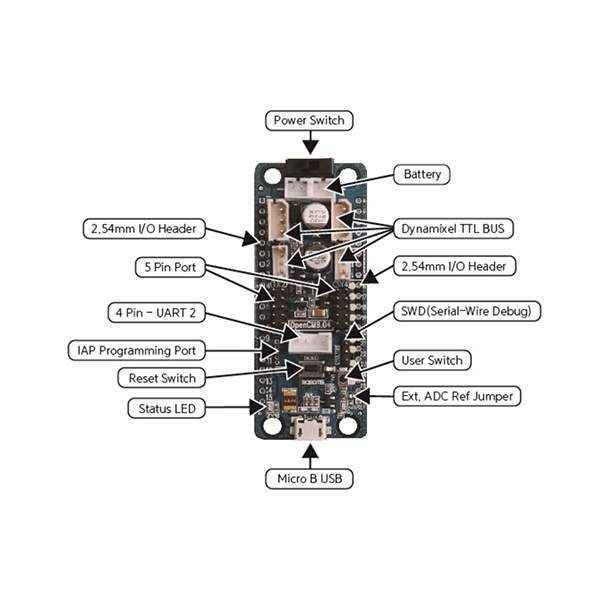 Robotis has released the hardware and software designs as open source. An Arduino like IDE is available for C/C++ programming and you can download your code easily over USB. 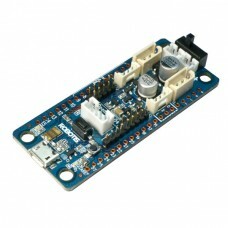 This controller board is a great choice for your small and medium sized robot and could also be used as an intelligent Dynamixel controller on a large robot. This package comes complete with the OpenCM 9.04 microcontroller board, a set of optional male and female headers and a USB cable.